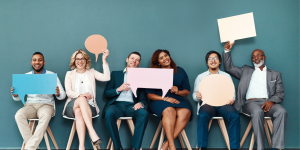 An intelligent and contextually-powered support experience improves efficiency by assisting employees in a quick and user-friendly way so they can get back to their work as soon as possible. They won’t have to learn the terminology of IT. If an answer is buried in a technical manual, they will no longer be given a link to a document they need to sift through themselves. Instead, key information will be found and presented back in a usable form so they can understand what the problem is and how to fix it. We learned how to transform an efficient Service Desk into a simple to use, modern support experience by listening to what our users find confusing. They told us it was awkward having to use seven or eight self-service business functions with completely different user interfaces. So we converged everything into a single, consistent support experience, keeping everything looking and feeling the same end to end, so that users don’t have to learn multiple systems. This means a person who is less technically savvy can still do their work without fear that their lack of skills might exclude them. In fact they will probably learn from their interactions with the support organization – it’s almost a form of skills training in itself. Making the modern Service Desk fit for purpose will ensure people actually use it. This is important because shadow IT is a serious problem. If you make it difficult for an employee to achieve something using the technology you provide, they will find their own, unofficial, unregulated way. 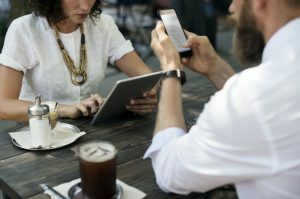 This could mean that employees turn off their work mobile phone and use their personal device instead. Or it could mean they set up their own Dropbox account to share files directly. Whatever form it takes, shadow IT opens up your organization to additional cybersecurity threats and other vulnerabilities. Providing a support experience that people want to use can help prevent that. Equally, an intelligent support experience that employs virtual assistants and artificial intelligence can operate 24/7. 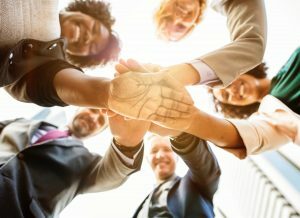 This empowers and encourages people to fix problems as they arise, anytime and anywhere, which is important as the trend towards remote and flexible working continues. 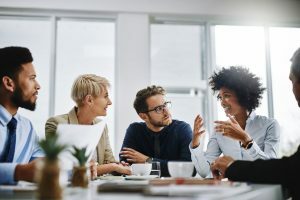 There’s another softer value here too: providing people with an intuitive and ‘cool’ support experience enables you to attract the best talent because it helps demonstrate to people that you’re a forward-thinking, modern organization. I have to emphasize that all of this is subsequent to gaining an understanding of your user base. Providing users with contextualised and personalised support necessitates that you understand them, their roles, preferences and fundamentally, their abilities. Unless you have details about a user’s background and their level of IT expertise you won’t know how to support them effectively. If the individual with the problem is highly tech savvy, you can take a different approach, perhaps asking them to apply a fix themselves. No MSCE likes to be asked if they have checked the network cable in the back of their machine or if the Wi-Fi is connected. Understanding the steps that the individual will have already taken to try and fix an issue is important in saving everybody time. If they’re not so technically-minded however, your approach will need to be different and you will have to consider how they wish to consume information more specifically to their understanding. This is why gauging your user base is so crucial. Standing still is not an option. You have to transform your Service Desks into an intelligent, people-aware support experience now if you want to stay ahead of your competitors. In the consumer world few people choose to contact support by calling a Service Desk. They use things like Apple’s Genius Bar or they crowdsource help from forums and blogs. Nobody outside business IT wants to get on the phone when they’ve got an issue, and we’ve already discussed what can happen when you start being a hindrance instead of a help to your users. 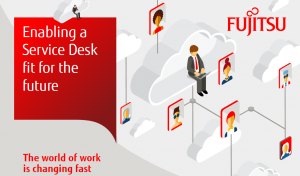 People will always want intelligent and effective IT support, and this new style of Service Desk, which we in Fujitsu call The Social Command Centre, can deliver that now and in future. But the intelligent service experience engages employees in a form of digital skills learning through their day-to-day work. It’s digitization on the fly. And in today’s age of human-centric innovation, this is the benefit I’m most excited about. 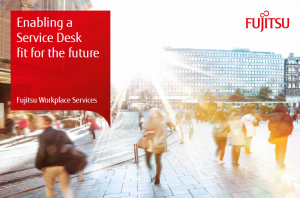 Read our report on Enabling a Service Desk Fit for the Future for more.